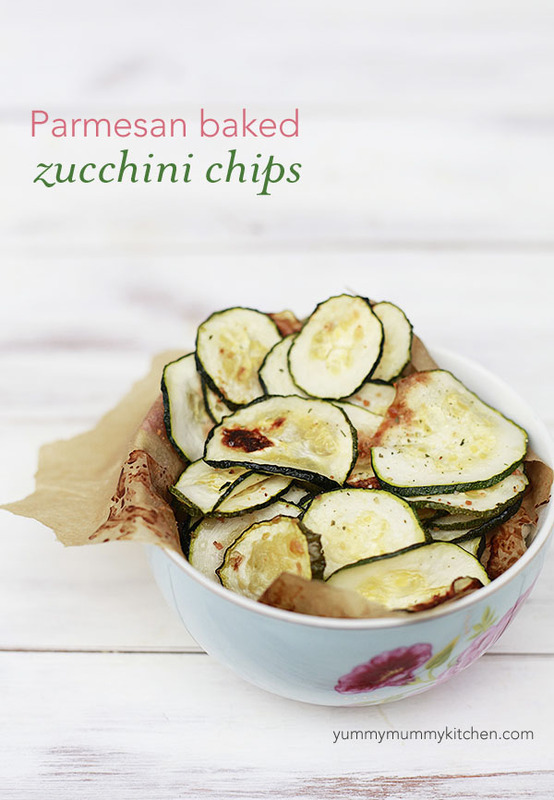 A simple recipe for baked zucchini chips with Parmesan. I thought I had a lot of summer squash before. But then we got home from Italy and after just two weeks the garden had grown wildly. So my quest to use up zucchini continues. This week I sliced a couple of zucchini into rounds, sprinkled them with Parmesan and a little salt and pepper and baked them. The kids (who aren’t big zucchini lovers in general) gobbled them up and said they tasted like cheese crackers. Cheese crackers, only without all the refined flour and processed junk. These “chips” don’t really get crispy crunchy, they are more like soft roasted zucchini, but the kids like them better when I call them chips, so chips they are. Maybe one day I’ll invest in a food dehydrator and have some proper crunchy zucchini chips. My sweet gardener – lavender and zucchini picker. I thought this picture was just beautiful. 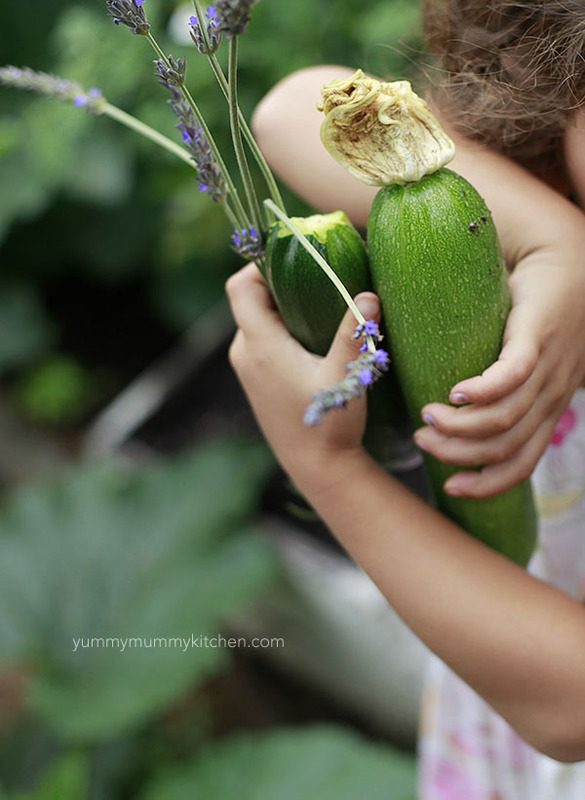 Zucchini, you may have won the kids over with this recipe. I added some kale to the pan – our family loves kale chips. If you do the same, just be sure to remove the kale earlier than the zucchini, as it cooks faster. 2. Coat a baking sheet with cooking spray or parchment paper. 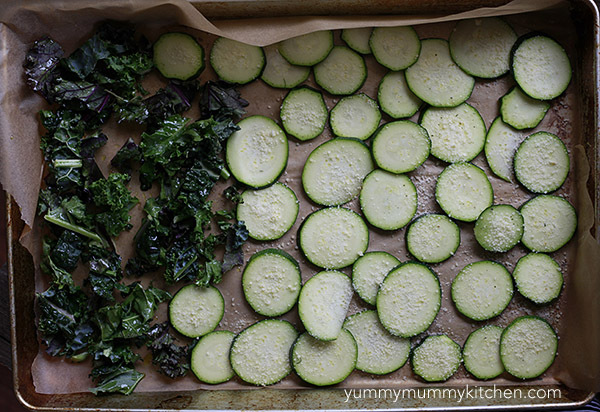 Lay zucchini rounds on sheet and coat with a little oil. Sprinkle with a think layer of Parmesan and a pinch of salt and pepper. Bake for 15 minutes, turning rounds over after 10 minutes.